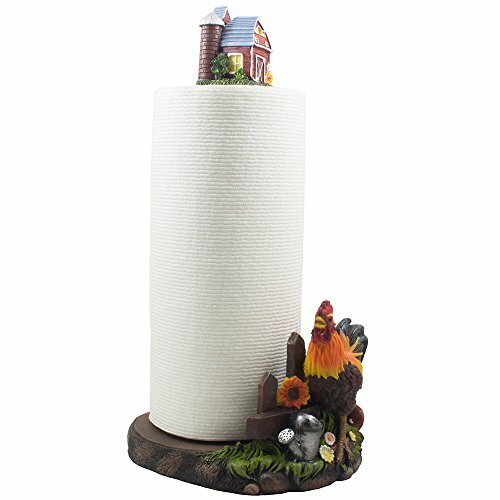 A colorful farm scene with sunflowers and morning glories is the home for this showy rooster, who struts his things on this decorative paper towel holder. 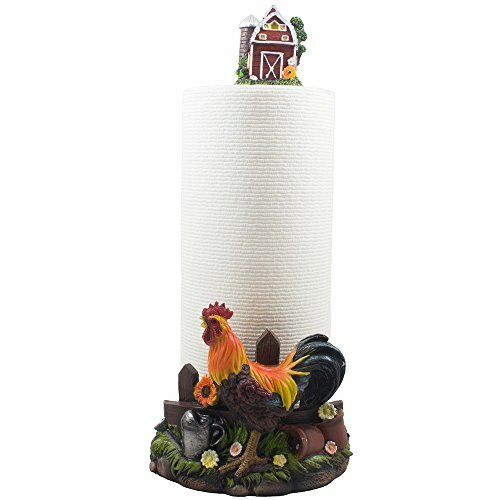 Bright colours and finely detailed functions make this rooster paper towel holder a cheerful accessory for your nation kitchen decor. 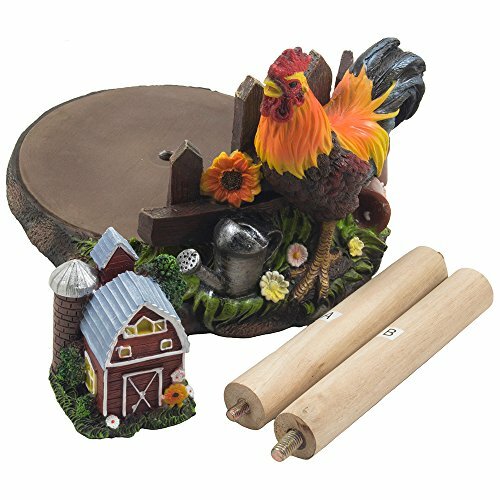 Finished with the barn and silo at the prime, this sculpture is assured to enliven any kitchen or dining room countertop! Some assembly required. 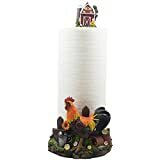 A colorful farm scene with sunflowers and morning glories is the home for this showy rooster, who struts his stuff on this decorative paper towel holder. - See full description below. Dimensions: 6 3/4" x 8 3/8" x 15 1/4" high. Weight: 3.2 lbs. 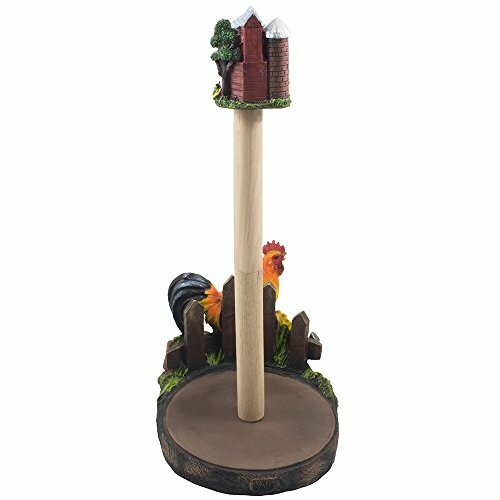 Individually hand-crafted from cold cast resin with wood pole and felt feet on the bottom. Heavy duty, solid base. Some assembly required. Assembly instructions included. 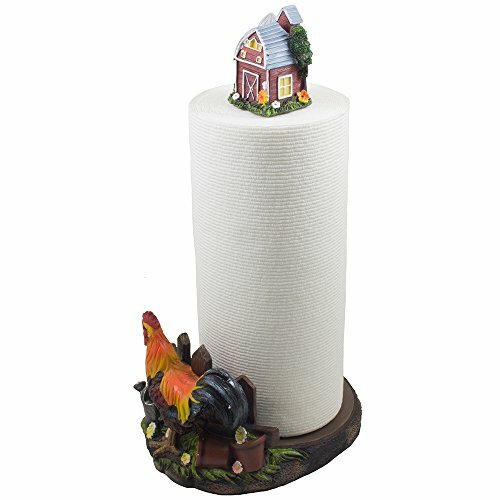 Paper towels not included.